An intruder on the field proved too nimble for a steward at Philadelphia’s Citizens Bank Park on Tuesday, April 16, sending him to the turf with a neat bit of evasive action. 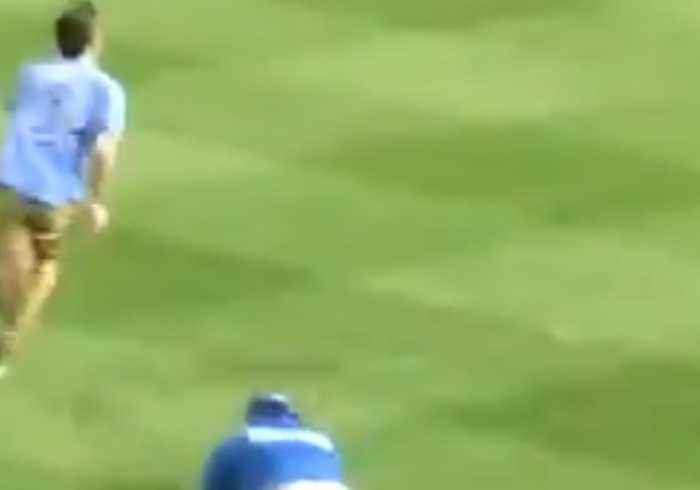 Footage posted on Twitter by Seth McLaughlin shows a man running around the outer edge of the field before he makes a break for the diamond – evading a member of security in the process. The Phillies were facing the Mets on the night, and started with a bang, scoring 10 runs in the first inning on their way to a 14-3 win.